Paper wrapped bouquet in purple with hand lettered message tag. Don’t get lost in the floral section of the grocery store this Valentine’s Day only to come away with an average bouquet! We’re making it really easy to grab a beautiful arrangement she’ll love. 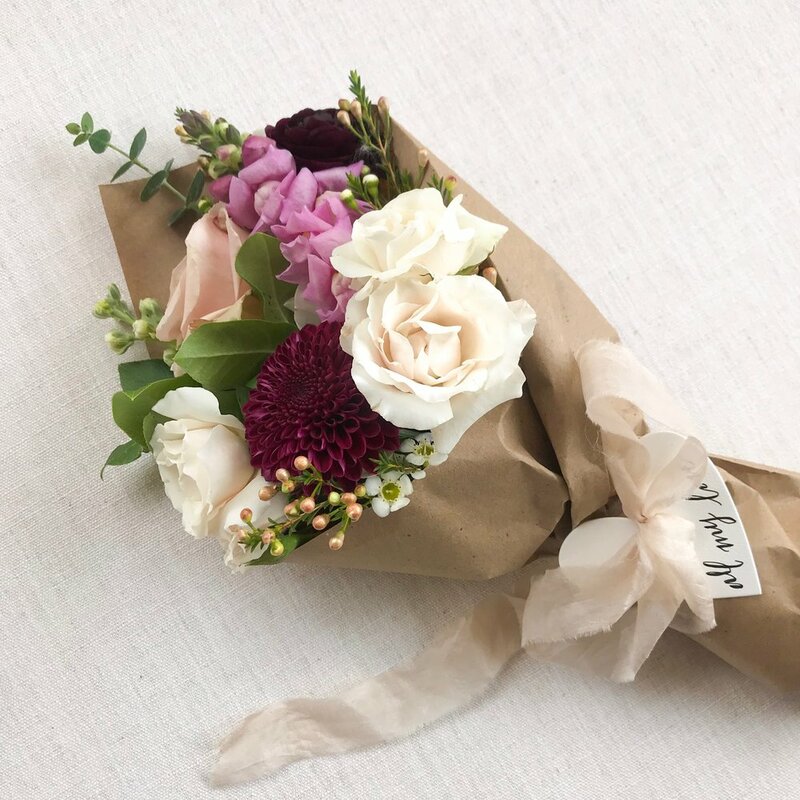 Maddie Harper of Kindred Events is offering gorgeous paper-wrapped bouquets, vase arrangements, and hand-lettered message tags available for pick-up at Bustle on Thursday, February 14th.